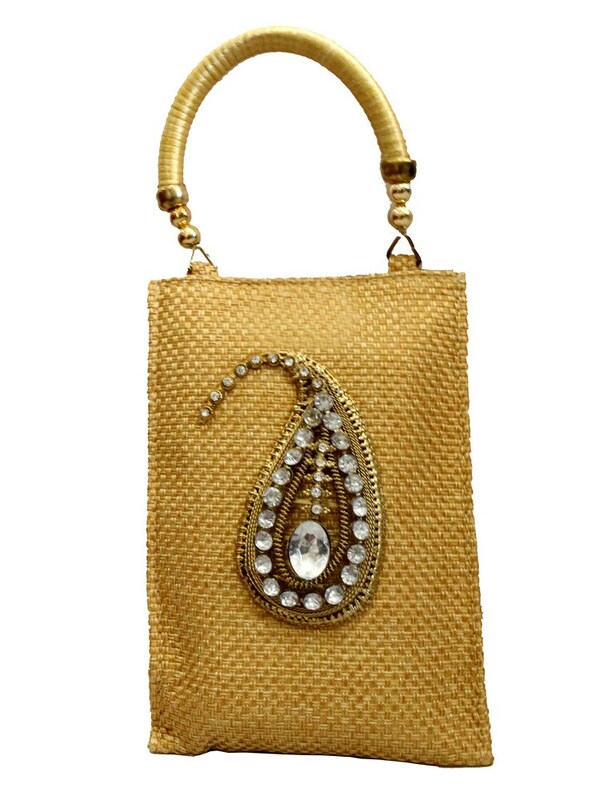 Simple yet elegant is what one encounters with the appearance of this golden jute fabric clutch. The light hue, juxtaposed against the elaborate stone work Read More..is simply extraordinary. It has a semi-circular golden handle at the top making this clutch look extremely edgy. With the perfect finish, it can make a good deal for any occasional gifts. Show Less..